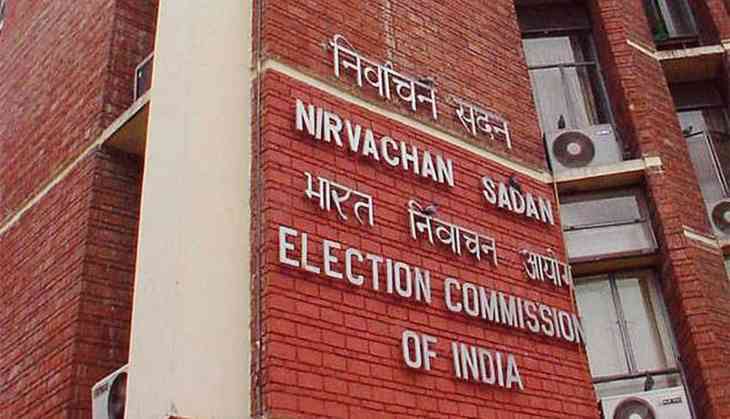 'Defenceless' in the face of continuing 'insults', and 'unfounded allegations', the Election Commission of India has demanded that it be given contempt powers. Top sources in the ECI told Catch it is not just the recent attacks on the credibility of electronic voting machines or on senior ECI officials, but also past statements like “ECI is in our pocket” by members of the ruling BJP, which form the basis of this demand, one source said, explaining that many other countries had such a provision. The ECI's letter to the Law Commission, reportedly written over a month ago, sought amendments to the Contempt of Courts Act, 1971, and asked that the constitutional body be empowered to punish those who are disobedient, or discourteous to its authority. After the recent round of state Assembly elections, a section of political parties, including the Bahujan Samaj Party and the Aam Aadmi Party, had attacked the ECI and alleged that EVMs could have been tampered with to make the BJP win. Arvind Kejriwal, AAP convenor and Delhi Chief Minister, went to the extent of claiming that two of the election commissioners, AK Joti and OP Rawat, were close to senior leaders of the BJP – since Joti served under PM Narendra Modi during his time as CM of Gujarat, and Rawat worked with Madhya Pradesh Chief Minister Shivraj Singh Chouhan. But when the ECI invited political parties to prove these allegations, the AAP and the BSP did not turn up. Jagdeep Chhokar, director at Association for Democratic Reforms, an independent election watchdog, said the political parties' irresponsible criticism of the ECI is something that needs to be tackled. “ECI is a constitutional body, an important pillar of democracy. There needs to be a valid reason to doubt its credentials,” he said. On the other hand, former Chief Election Commissioner SY Quraishi felt that such a demand for powers of contempt for merely “sullying the image” of the ECI was uncalled for. He said the ECI should answer all the naysayers and put to rest all their doubts, and should be open to criticism. “The ECI may be given powers of contempt for wilful disobedience of its lawful orders,” Quraishi said. However, ECI sources claimed the body was not against freedom of expression, or closed to criticism. This official said the feeling of helplessness was not just because of statements from AAP and BSP leaders, but also because of the way a BJP leader, Jay Banerjee, was openly going around saying how the 'ECI was in our pocket'. “This is a serious issue. Even the court recently took note of it,” the source agreed, pointing to the Uttarakhand High Court order quoted above. The country's defamation laws, including the law of criminal defamation, which has otherwise been widely criticised, are an option. The ECI, however, according to sources, feels that moving a lower court against each utterance or insult, and filing a defamation, which may also require the presence of officials or making the ECI a party in the case, is not a “befitting” enough thought. Mamata vs GJMM: Who will blink first in the Darjeeling stand-off? READ NEXT >> Mamata vs GJMM: Who will blink first in the Darjeeling stand-off?